You have come a long way to conquer this land, crossing cold and stormy seas in an uncovered longboat. It would be a shame if your weapon failed you now. 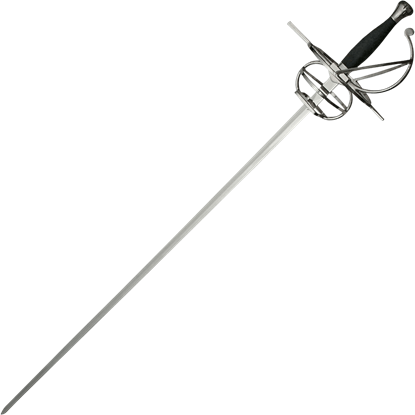 Luckily, the Fidas LARP Longsword is sure to defend you without waver. This historically themed LARP weapon is made from a specially designed latex-free, injection-molded foam with a strong fiberglass core. 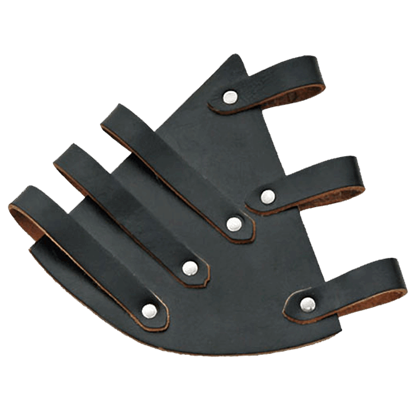 This core makes it particularly durable while still remaining safe for LARPing, theater, and staged events. It also features a protective coating that increases its durability and prolongs the life of the weapon. 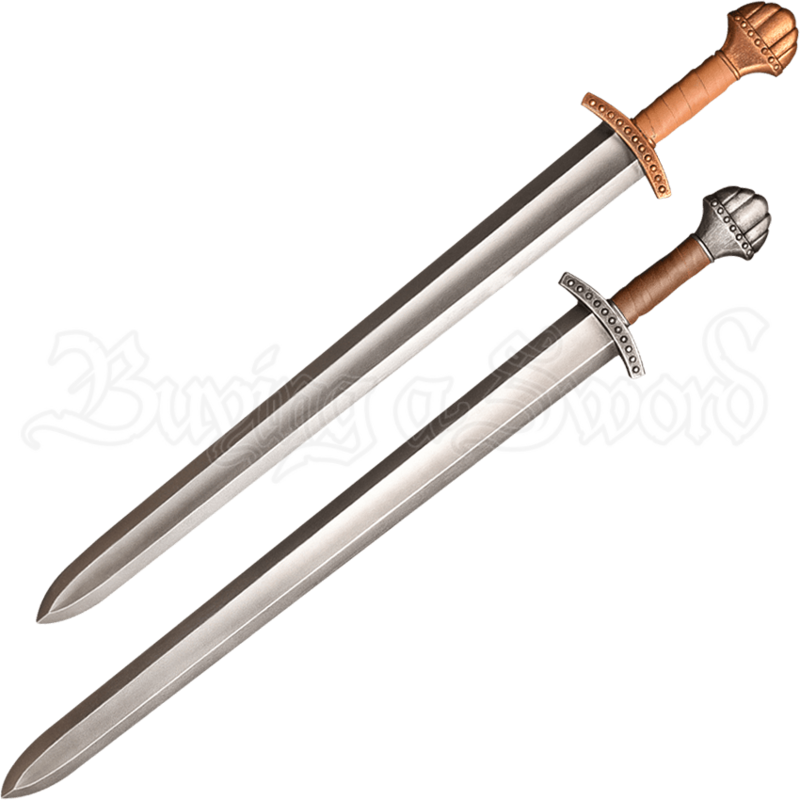 This weapon is modeled after classic Viking longswords, complete with a deep fuller, a short crossguard, and a five-lobed pommel. 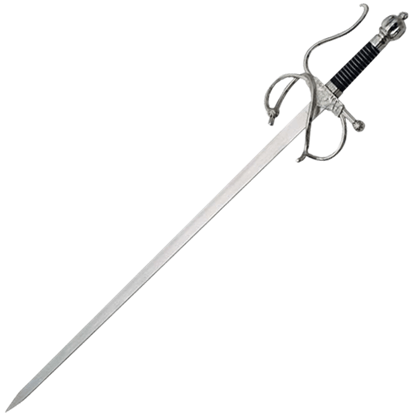 The hilt comes in gold or steel coloration and is wrapped in leather, making gripping easy. The Fidas LARP Longsword is a crucial arm for any Viking or barbarian warrior to have, and it is sure to bring a bit of authenticity to your next LARPing event. 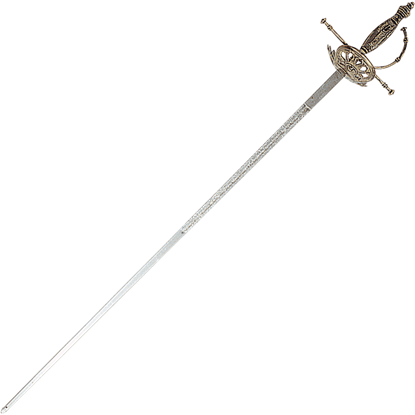 Not all rapiers were made for the social elite of the renaissance. 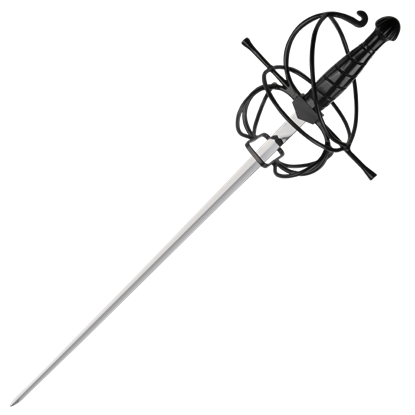 They were a common sword of the day, and so some, like this Black Hilt Rapier, were made to be less ornate. Being less fancy hardly decreased its effectiveness.